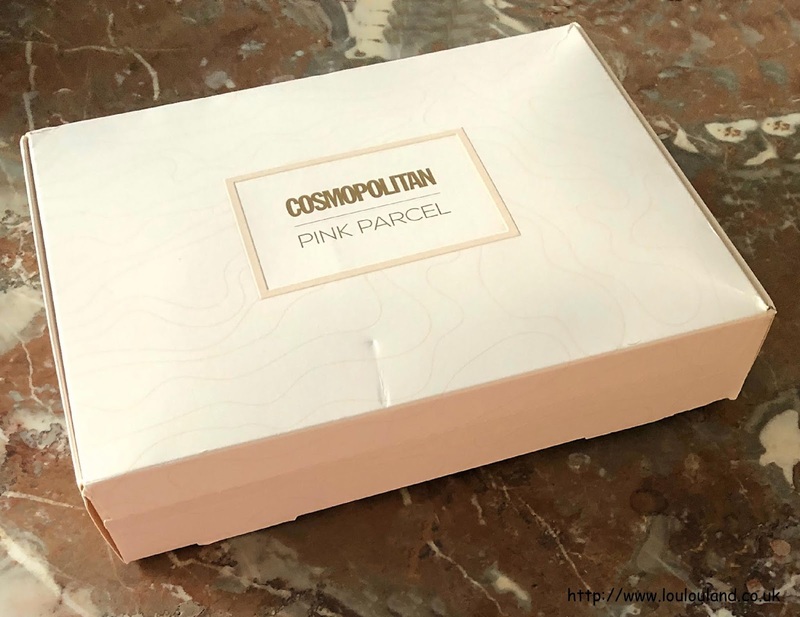 Well it's that time of the month again, you know the one, sleepy, pained, and craving chocolate time - great just what I needed, but since I'm trying to have a more positive outlook on life, that time of the month also mean that it's Pink Parcel time. Maybe it's because I'm a bit down and a bit grouchy at the moment but this box didn't bring the joy that I'd hoped. I've never done this before but after receiving the box I had a few, not exactly complaints but a few concerns that I needed addressing. When you've sung the praises of something and recommended it to as many people as what I have, you feel responsible I guess, and I felt that I needed to share a few of my concerns with Pink Parcel - They responded and they've apologised and they've taken my comments on board and promised changes. I'm pleased with their response and we'll just have to see what if anything changes in the months to come. 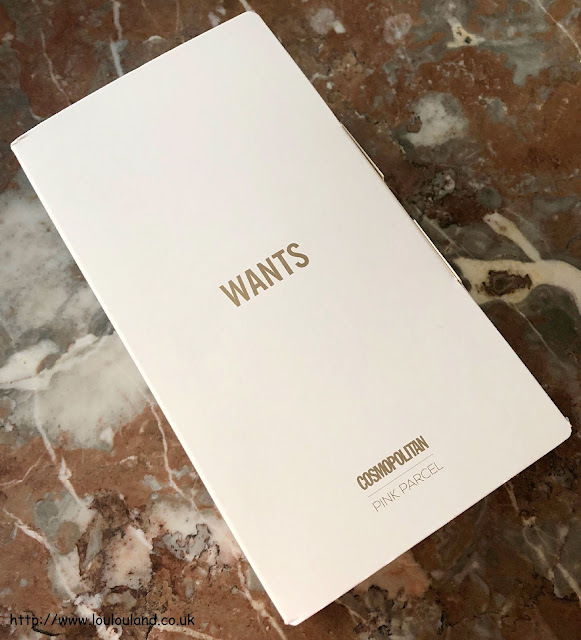 Like February's box , March's box is the new compact, brighter and fresher version, the box is noticeably smaller than it used to be and as a result the contents has changed, instead of the 3 boxes and one pouch, you know only get two boxes and one pouch. I know I mentioned last month that I'd received a mixture of brands and a few less pads than I had done in previous months, and this was something that unfortunately continued on in to March's box. Last month I received 25 pads of varying absorbency's, and 5 pantie liners, but this month I only got 23 items in total, and I only received 5 "normal" pads! Now Pink Parcel have apologised and offered to send me some more products if I needed them, thankfully I have plenty spare, so I didn't take them up on their offer. Apparently the new compact box is to blame, and we should be receiving slightly fewer items than normal but there should still be enough. They are going to look into this though and hopefully brands and amounts should be sorted in the next month or so. 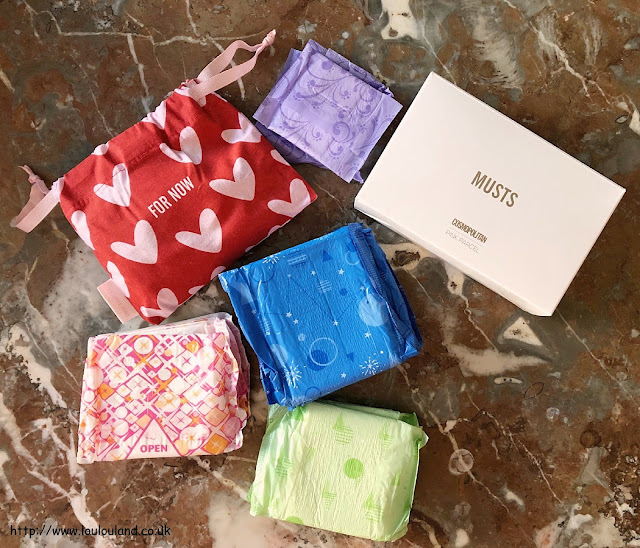 As I said last month I don't mind the mixture of brands but if you're not receiving enough products to last your period then it kind of makes the whole box a bit pointless. Fingers crossed that this issue get sorted out sooner rather than later. Now the first item in the box, thankfully was one that I hadn't tried before. 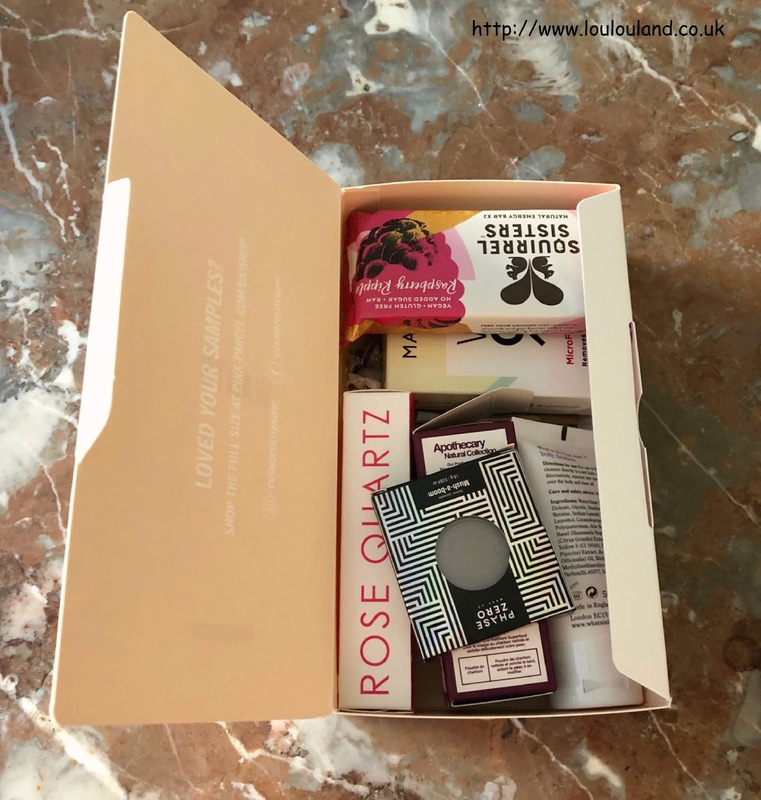 Each box contained 1 of 3 products from Dr Botanicals, Since I already tried the other options of the exfoliating body bar, and the rose facial oil, I was really pleased to receive something different. Dr. Botanicals are a UK based natural skincare brand, that are PETA certified, and are vegan, and toxin and paraben free. 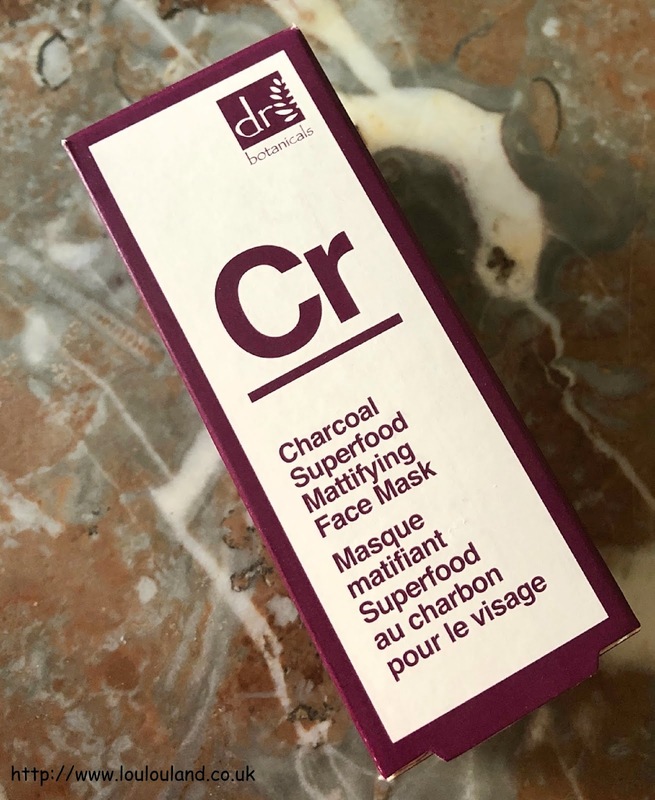 Containing active charcoal powder to buff away the dead skin cells, this mask also contains shea butter, sweet almond and grape seed oil, jojoba and sunflower seed wax to nourish, and hydrate the skin, and to leave a smoother, even, and more mattified complexion. 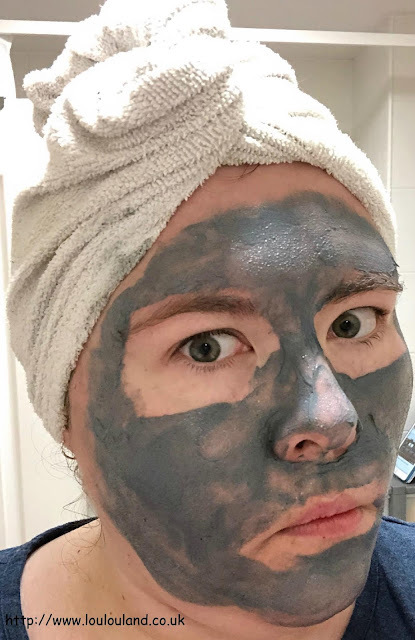 I do love a face mask and since my skin is pretty oily, I thought I'd give this a go straight away. Now given my all be it limited experience of the brand I thought that this would smell amazing, unfortunately it didn't - it had quite an oily scent, you could definitely smell the sunflower oil! I also expected it to have a thick clay mask type texture, but it actually felt more like a cream mask feel. 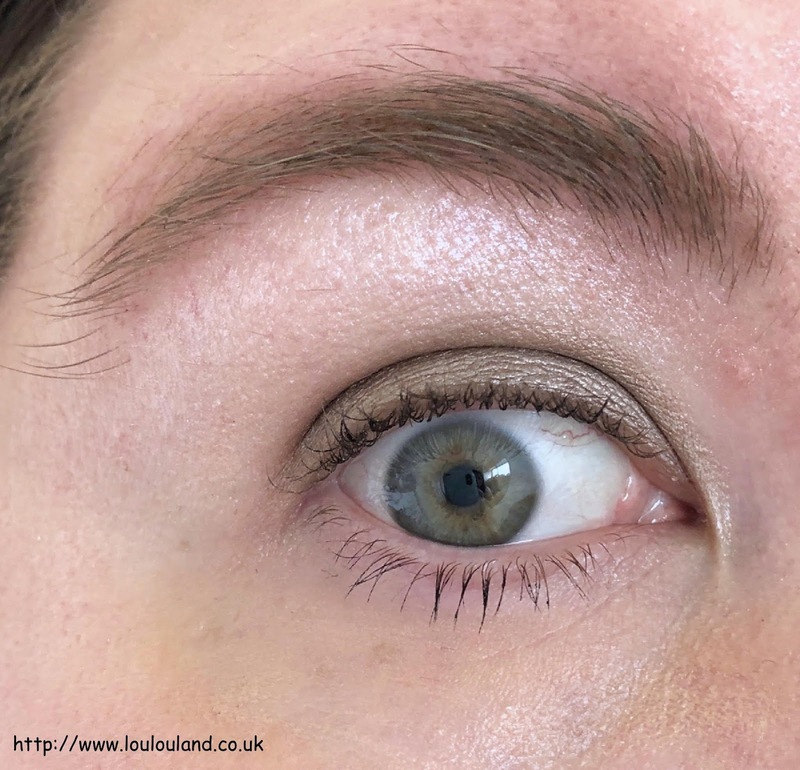 It was pretty easy to apply but the key is to apply a thin even layer. 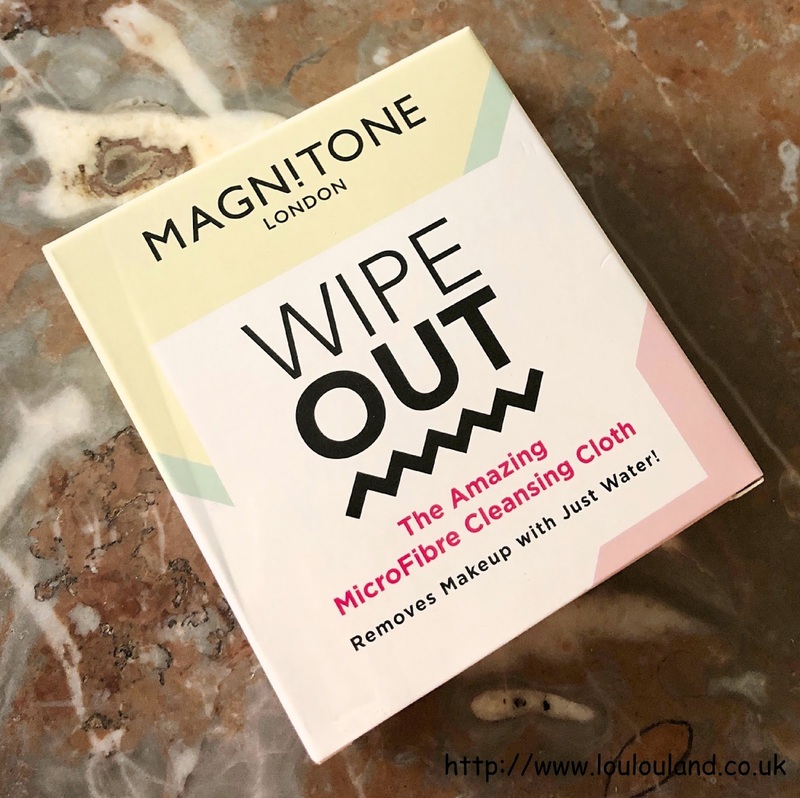 After applying it to cleansed skin you then left it for 5 -10 minute, there was a slight warming sensation but it wasn't uncomfortable or irritating. 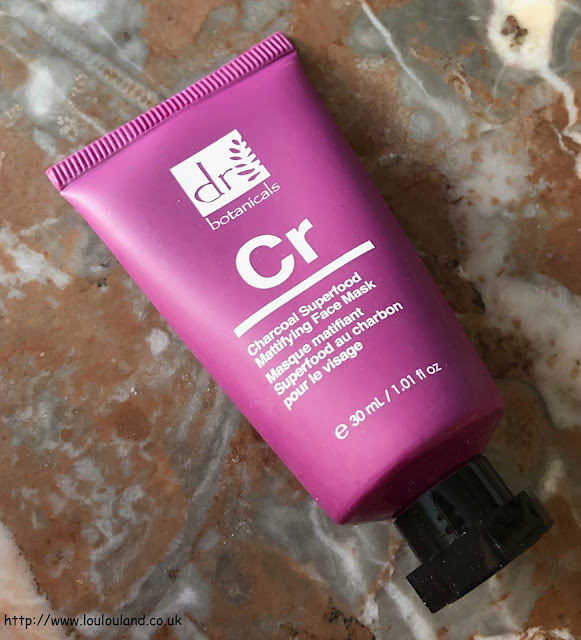 If you aren't a fan of masks that dry hard, and crack then this one might be worth a try, it didn't crack, set solid or feel uncomfortable, it just seemed to set particularly in areas where it was applied more thinly. I used a muslin cloth and warm water, and washed it off in circular motions, at this point I could feel a slight grittiness to the mask but it was easy to remove and it didn't cause any irritation. 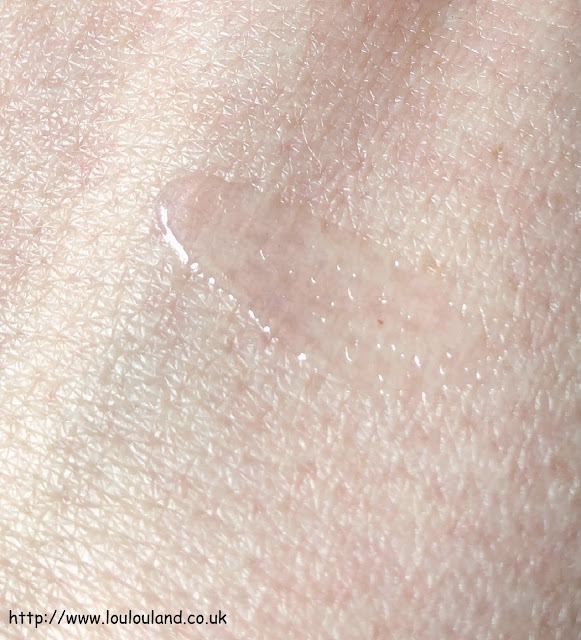 My skin was left looking slightly pink but it felt very clean and hydrated. 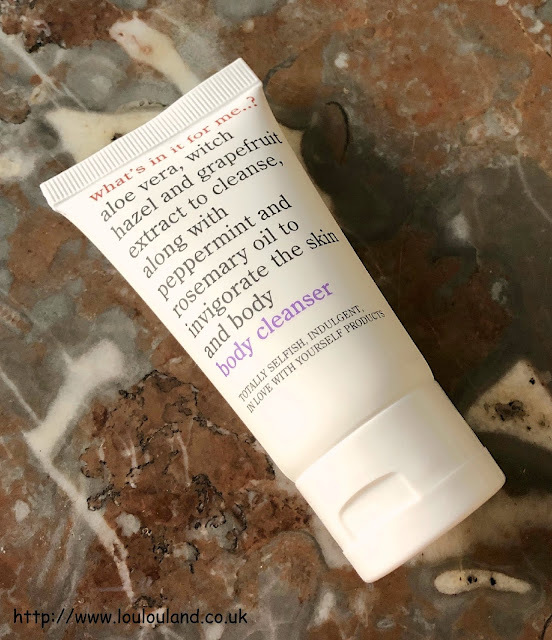 As time progressed my skin just got softer, and softer, it looked and felt moisturised, and my skin looked fresher and more even. Did my oiliness disappear? Well no not really but my skin definitely felt and looked better. I've used this mask about 3 times now and my skin definitely looks a lot clearer. Despite the creature from the black lagoon impression, the first item in the box was a huge win as far as I'm concerned. 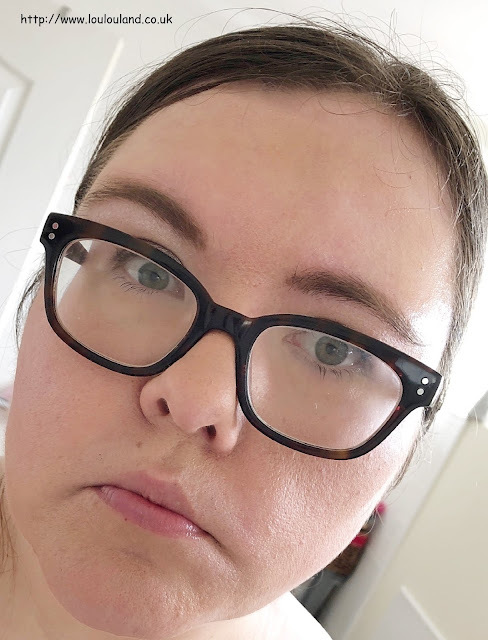 I'm not the biggest fan of the scent, and I'm not sure my flannels or muslin cloths will ever full recover, but I can see a definite improvement in my skin so I'm going to keep using, and then "I may" even consider repurchasing - high praise indeed! This is a generous travel size which retails at £12 from various retailers including Beauty Expert, and Look Fantastic. Next up another new item, and it was a make item. 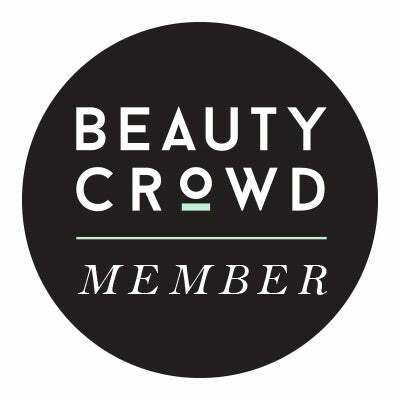 I'm always pleased to see a make up item in a subscription box, and especially an item from a new to me brand. 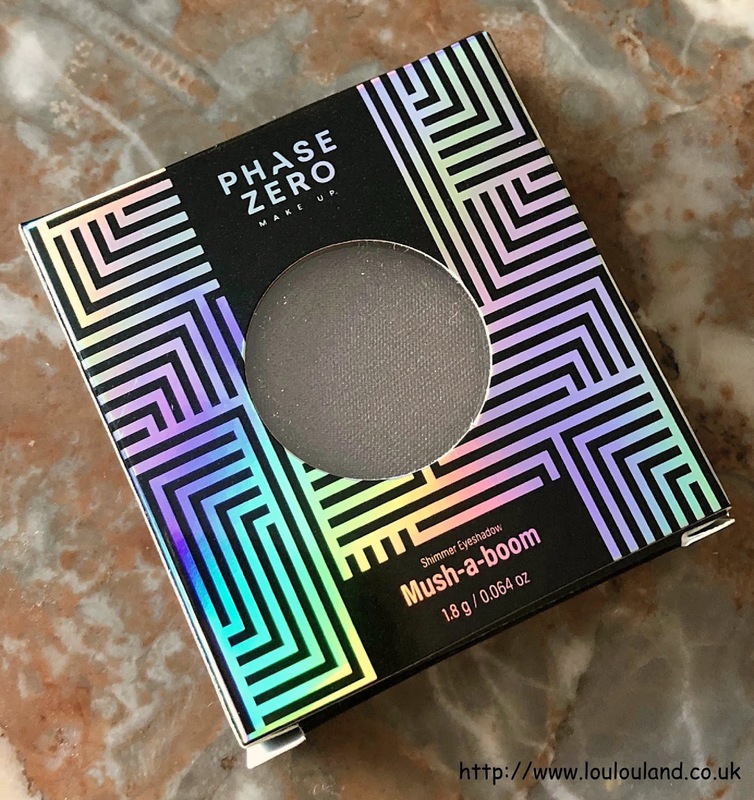 I don't know too much about Phase Zero but from what I can gather they are cruelty free seem to be associated with former subscription box site Love Me Beauty. 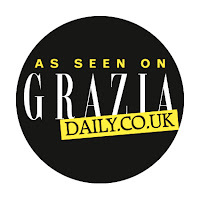 I've had a little look at the range online and it seems to be pretty affordable and they seem to have some nice looking products. 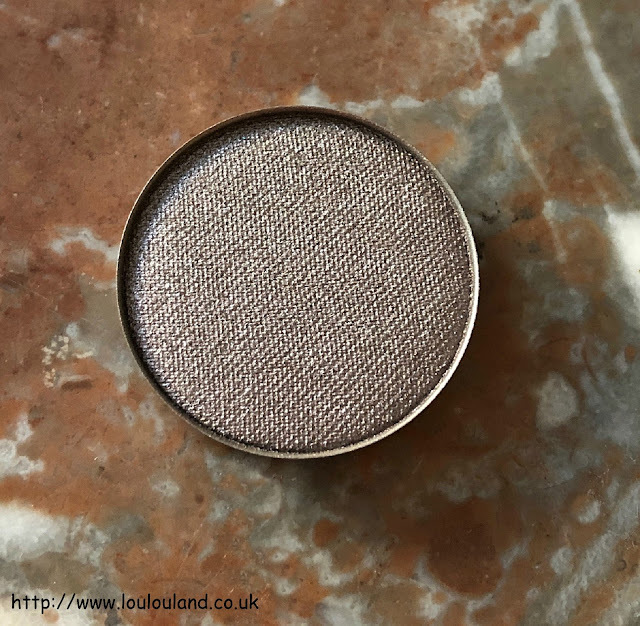 March's Pink Parcel contained an eyeshadow from the range in one of two formulations, and the one I received was one of their shimmer eye shadows in the shade Mush-a-boom. 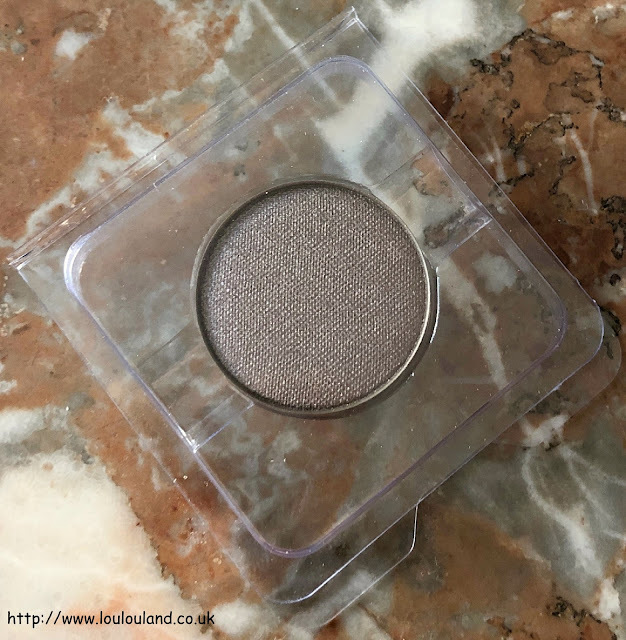 It's a loose pan shadow, and the Love Me Beauty site sell palettes to store your shadows in but if you have a MAC palette with a spare slot like I have, stick a magnet on the back and you're good to go, if not it should be safe enough in the moulded plastic packaging. The colour I received is the fabulously names Mush-a-boom, which describes it perfectly. It's one of those gorgeous mushroomy, silvery taupe shades. If you love shades like MAC Satin Taupe or even Smoke And Diamonds, then you'll love this, and I love this! The shade is so, so wearable, and it feels absolutely gorgeous, smooth, creamy, velvety and very pigmented. 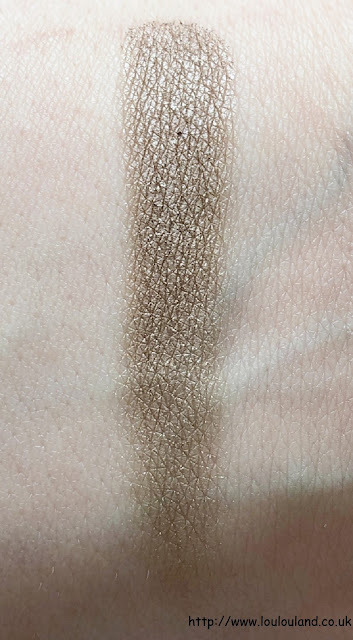 Not the best picture of it on my face as per usual, but it's a dream shadow to work with it applies really easily and it's easy to blend, a touch of fall out but nothing to serious. 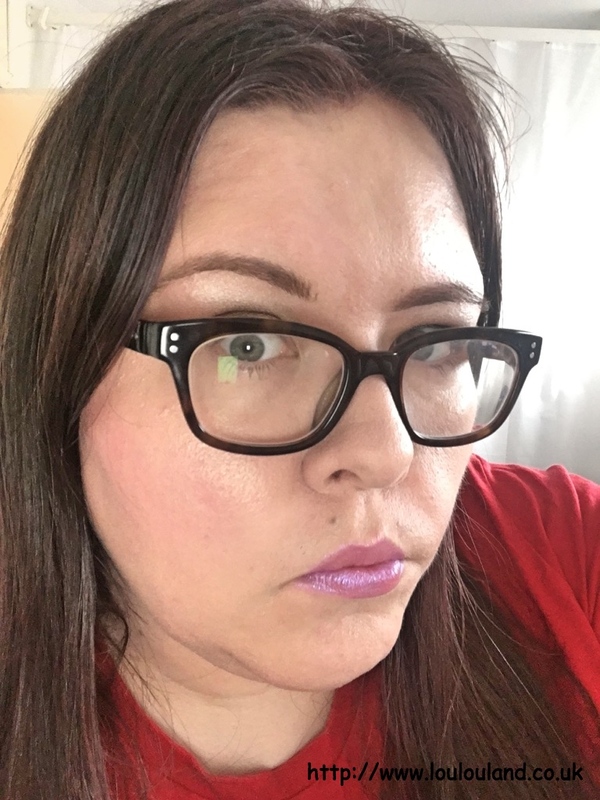 Obviously you can team this up with other shades but I've been wearing it on it's own for the last week and for the price I am so impressed with the feel and the wear time. I'm definitely going to be having a closer look at this brand in the near future. If you fancy trying this shadow out (seriously why wouldn't you), then you can buy it directly from the Love Me Beauty website. 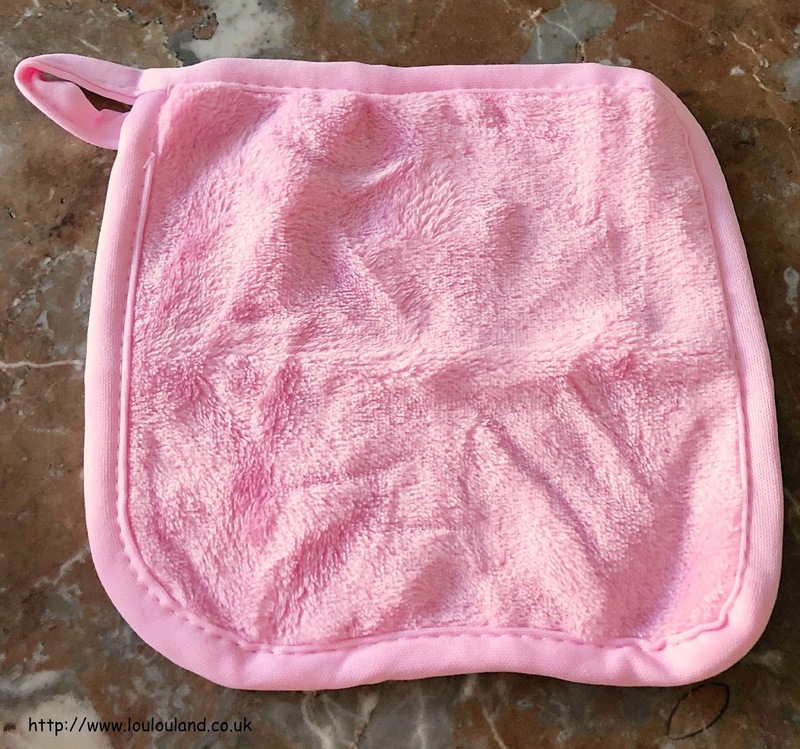 Next an item that appeared in the September 2018 edition of Pink Parcel (watch my unboxing here), and I'm not going to lie it's something that I'd completely forgotten about! 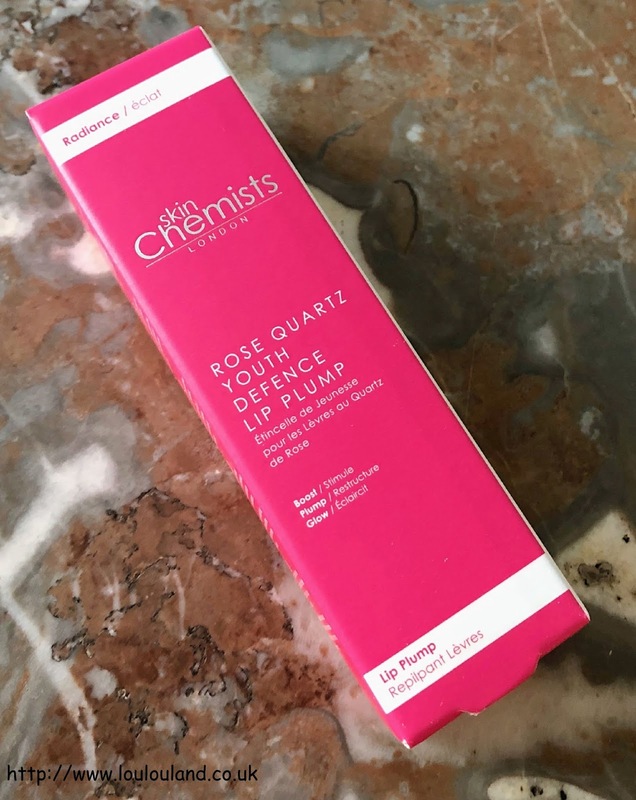 From a UK based brand with over 50 years of skincare research and knowledge, this product promises a fuller lip, without the pain. 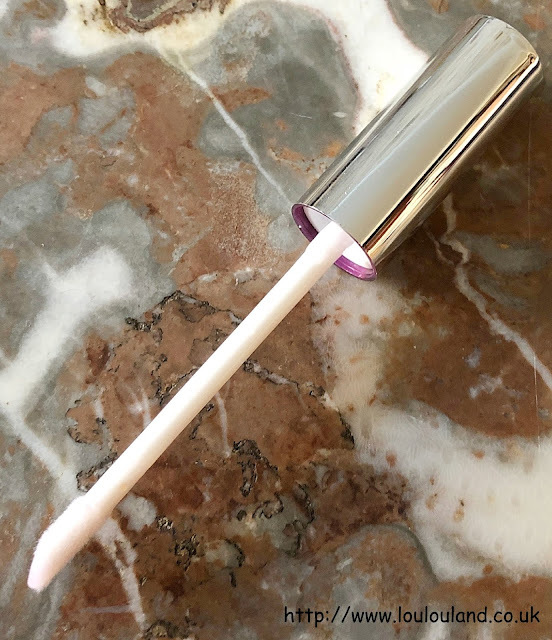 Designed to hydrate the lips and boost fullness, it's a lip gloss, a lip plumper, and a balm all in one. It contains Volulip a unique ingredients that is designed to stimulate the production of Hyaluronic Acid, which has a plumping effect and peppermint oil to boost circulation. With a sponge, doe foot applicator, it has an almost liquidy, balm like, gloss texture. The first thing you notice though when you open the tube is the scent, and ultimately the taste, it has really distinctive smell and taste that reminds me a bit of peppermint mixed with Germolene or any other antiseptic - not great but it would certainly hide it if your breath didn't smell too sweet! As you would expect from a lip plumper you do experience a little bit of a tingling sensation but it isn't too much and unlike some products it certainly isn't painful. 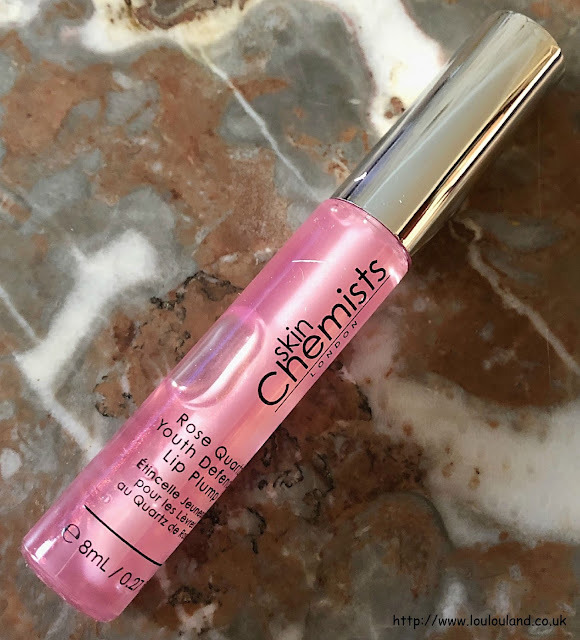 It looks like a translucent pink in the tube but it hardly adds any colour to the lips themselves. 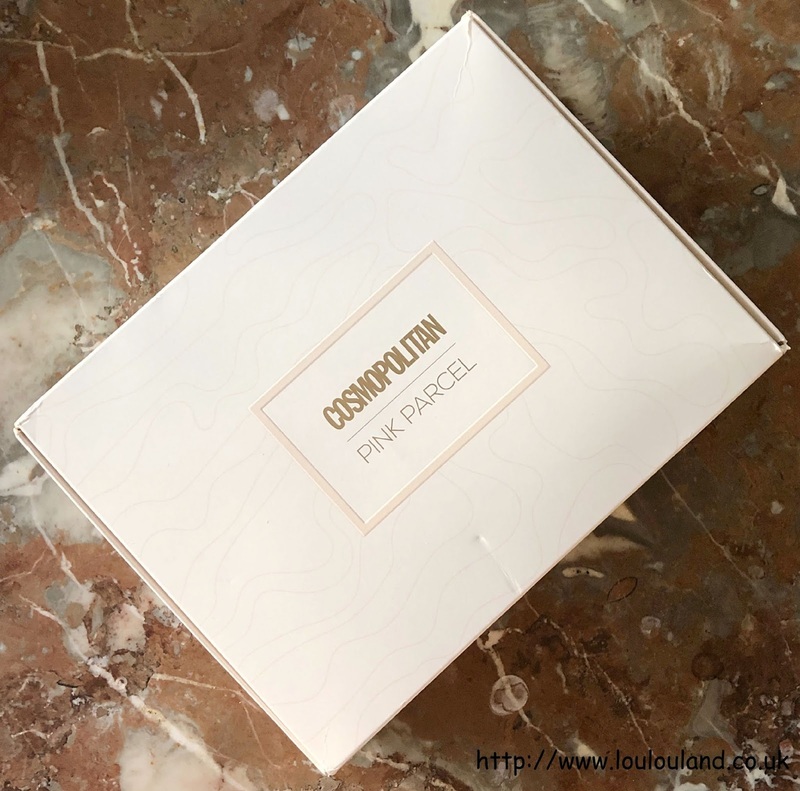 From September to October and an item that I received in October's Pink Parcel (click here to watch my unboxing) x Again I don't know too much about this brand but from what I'm managed to find out, What's In It For Me is part of the Anatomicals stable. This shower gel promises to enliven and invigorate and contains aloe Vera, witch hazel, grapefruit, peppermint and rosemary. I'm not big on morning shower, so I normally stay away from invigorating scents but I thought I give this ago and have a nice shower to try and wake myself up a bit! If you love citrus scents but you want something a little bit different I'd definitely recommend that you give this a go. There is no orange or lemon in it, instead you get a huge hit of citrusy, tangy grapefruit! I'm not a fan of eating grapefruit, and a bit of the juice mixed up with a bit of vodka is about all that I can manage but I do love the smell of it, and this stuff smelled pretty good! I can't find this particular size anywhere online but you can buy the full 250ml size from various retailers including Fragrance Direct. Next up something that I've tried quite a few times already, from July 2018's Pink Parcel, and from the 2017 Look Fantastic advent calendar, the pretty fabulous Magnitone cleansing cloth. Now apparently this is a bonus item, read into that what you will, did they have some leftover from June's box when they first appeared? Who knows but the product is decent and their message is an important one. Basically Bandzees are gentle, no snag, no break, elastic hair ties, made from the same type of elastic that goes in your undies! 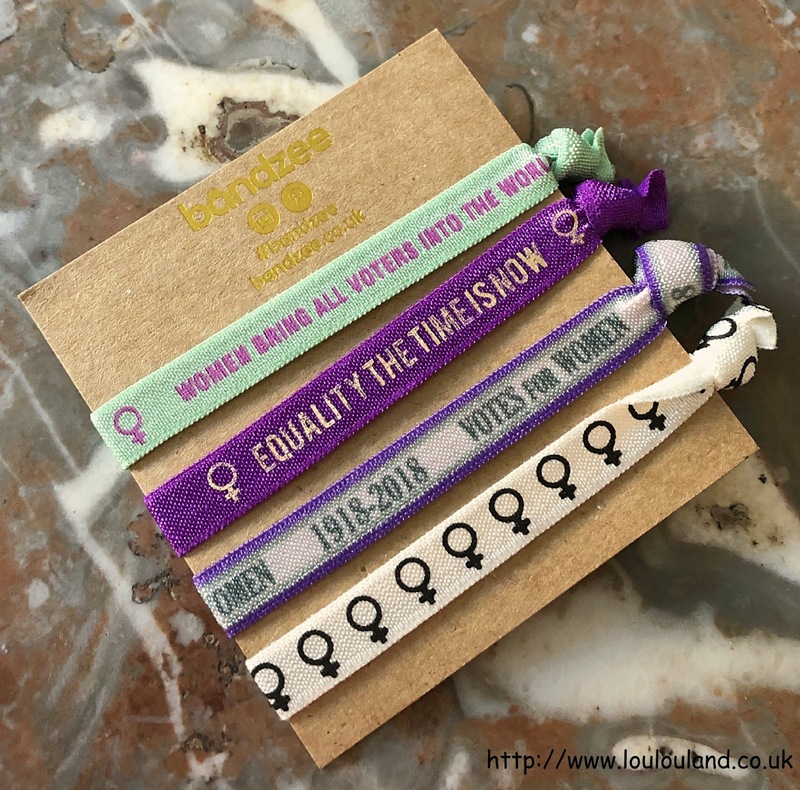 I've had a few sets of these now and whilst I prefer a tighter ponytail for daytime, I love these for sleeping in they are really comfortable to wear, they don't knot the hair, and you can also use them as wristbands. You always get something to eat in every Pink Parcel, and whilst I was initially disappointed at the lack of chocolate, these certainly hit the spot. 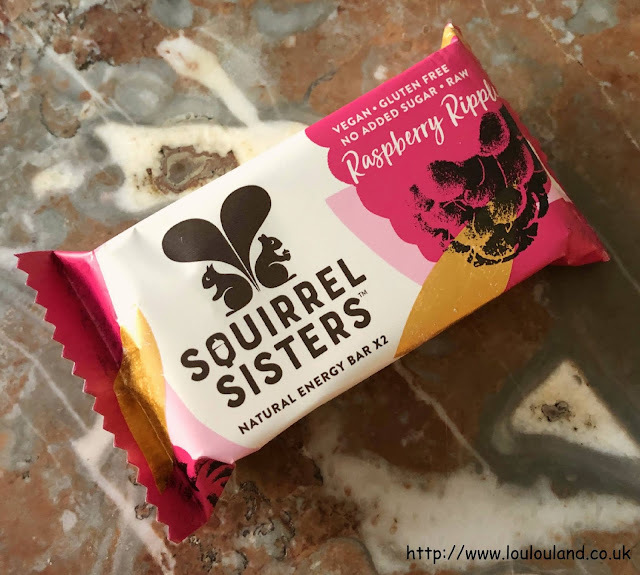 Founded by two sisters, Squirrel Sisters is a health and wellness company that produces yummy treats like this. Containing dates, sultanas, cashew nuts, almonds, goji berries, and raspberry powder, the packets contains two chewy, nutty and fruity bars, that are raw, vegan, gluten free, and contain no added sugar. Bars like this are never the most appetising things to look at but the taste more than made for it. Packed in a squirrel designed, cardboard tray, the packet contained 2 soft yet dense fruit and nut bars. They weren't too sweet and they just tasted really natural, you could taste the nuts and the sweetness and tartness of the fruit. They were really good and unlike a lot of snacks they were really filling. You can buy these in packs of 16 from the Squirrel Sisters website, and you also buy individual bars from various retailers including Morrisons, Ocado, Amazon, and Holland and Barrett x My advice though would be to shop around I've a found a huge variation on prices on these x They are currently on offer in Morrisons for just £1 if you fancy giving them a try. Finally the tea bag or in this case the coffee bag. Now I've definitely had one of these in a box before but surprise, surprise it wasn't me that used it! 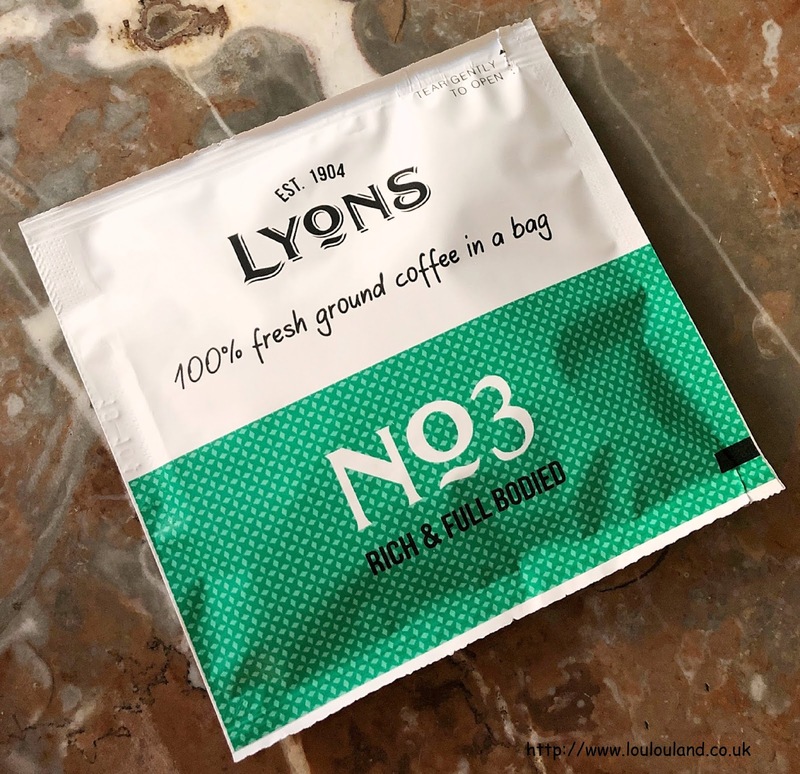 The idea is brilliant though instead of tea, your bag contains ground coffee, simply brew as normal and you get a steaming cup of fresh coffee. If I put this in the kitchen I may never see it again, so I think I'll keep it safe so I can give it a go. I've had a look online and I can only find these on Amazon where 18 bags retails at around £7.97.